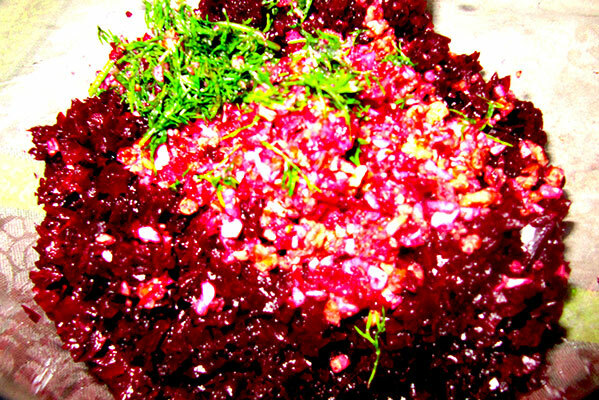 Beets truly are a staple of Russian cuisine, not just as a side dish, but as an ingredient in many recipes. 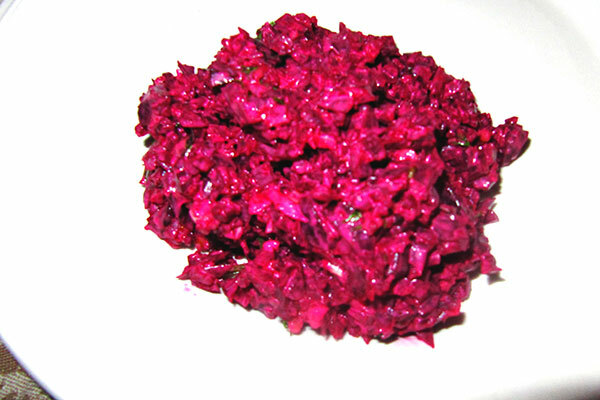 Here we show you how to make a super easy beets salad. 1. Finely chop or grate the beets. 2. 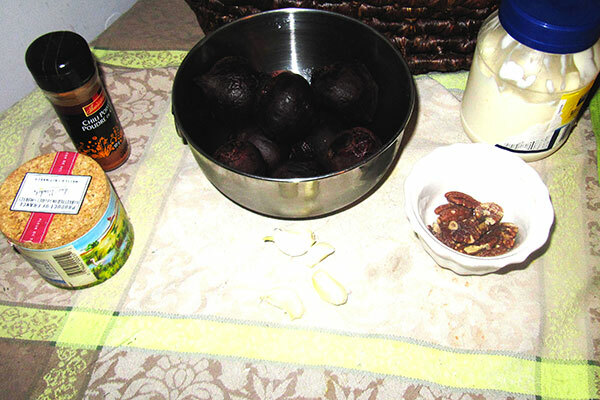 Finely chop or grate the walnuts. 3. Finely chop or grate the garlic. 4. Finely chop or grate the dried plums. 5. Mix all ingredients together with mayo. 6. Salt and pepper to taste. This is a delicious and easy salad which takes little time and is a great meatless main course. It uses beets, goat cheese, candied walnuts and baby greens. © 2019 Russian Inspired Cooking. All Rights Reserved.